It’s a confusing time in the NFL. Not only do we have these replacement refs making totally dodgy calls, but Eli Manning has revealed his playlist with some very odd songs. Among the John Denver, DMB and Coldplay (killing me), everyone is completely bewildered by the inclusion of Technopop Slashfest’s “Fill Up My Glass” – everyone but grapefriend that is! Are we now not all completely familiar with the fact that Eli is a huge grapefriend??? While he’s working out, all he wants is for people to fill up his glass and have some wine waiting for him afterwards. Who cares if it’s some obscure Norweigan high school band? Or whatever they are. The song makes proper grapefriendy sense. Can we also just take a moment to marvel that “9 to 5” is included in this list too? It’s my go-to karaoke song! I am ridiculously well-matched with my team’s QB. 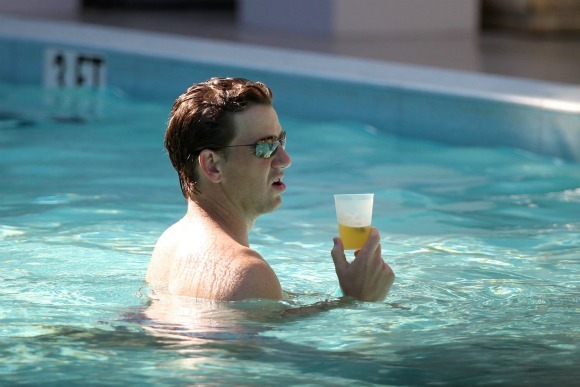 Cheers, Eli. Tags: eli manning. Bookmark the permalink.